Every business entrepreneur is looking for new innovative ideas to reduce the operational costs and enhance the profitability of their organization. One of the cost cutting measures which have gained popularity in recent times is using accounting outsourcing services. A few years ago, business organizations would have hesitated in delegating such a vital function to a third party firm. But now it has become a common trend. These services enhance the productivity of business enterprises as it allows them to focus on core activities like marketing and production. In small scale organizations, employees are generally over burdened with work. Outsourcing enables to reduce the burden and enjoy better work life balance. The first query which comes to the mind is where good accounting outsourcing services are available. You can conduct a search on Google and Yahoo by posting your requirements. The search engine results will take you to websites like Upwork, LinkedIn etc., where you will come across profiles matching your requirements. 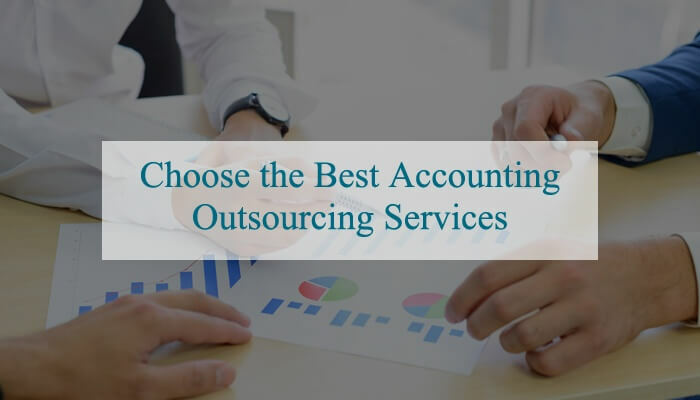 After going through the various profiles, you can shortlist the accounting services which can prove to be beneficial for you. The best source of information regarding a company is their business website. The companies who follow a professional work methodology generally have information presented in a very impressive manner on their websites. The name of the company is also something you can look at, an impressive name suggests that the owners are progressive and efficient people. By going through the portfolio of the company, you can gauge the productivity of the organization. The reviews given by the clients can also help in talking the right decision. In order to ensure that you are hiring the creditable company, you must check whether it is ISO certified or not. Hiring non-creditable third party providers can prove to be detrimental. Before finalizing the services, the contractual obligations must be carefully checked. If the terms of contract are not favorable, then such services should not be hired as it could lead to problems later on. For example, if a company is not offering free trial facility, then you should think twice before hiring them. In case, some of your friends or relatives have hired third party accounting services for their business venture, then their advice can also be taken in this regard. The remuneration charged by the outsourcing firms must be less than the cost of hiring local talent, only then your decision will be justified. Accounting to taxes has emerged as a leading provider of outsourcing accounting services to business organizations from all over the world. To know more, contact us at info@accountingtotaxes.com or call us at +1 646 688 2821.